Yet, those researching the cause & prevention of cancer know that the use of vaccines is not a new idea. Evidence of early research into the commonalities between viruses and cancer is found in the University of Minnesota Archives. Dr. Robert G. Green, M.D. joined the staff of the Department of Bacteriology in 1918. 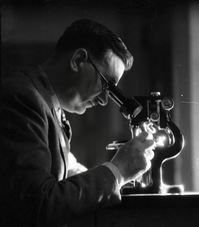 In the 1920s, Dr. Green’s research focused on the evolutionary nature of viruses and how they cause disease. Dr. Green also directed the Minnesota Wildlife Disease Investigation, sponsored by the State of Minnesota, the University of Minnesota, and the United States Biological Survey. During his tenure, he created a vaccine to prevent encephalitis in foxes. Based on this work with viruses, he went on to investigate how cancer cells spread in the body. In 1946 he published an article on “Virus Aspects of Carcinoma” and in 1947 he published “The Species Character of Cancer Cells” in Science. Green’s papers are also a fascinating study of the early work done in ecology and the crossover between researchers and the fields of medicine, zoology, and conservation. 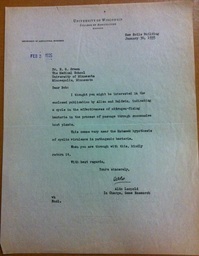 Examples include correspondence with Aldo Leopold and Charles Elton. View the finding aid for the Robert G. Green, M.D. 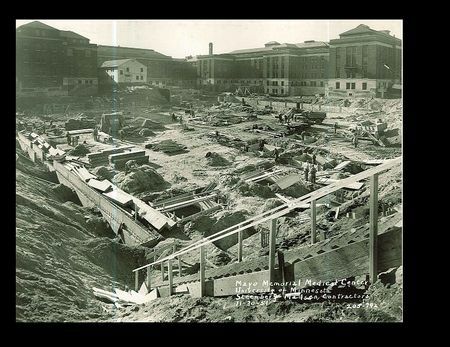 papers available at the University of Minnesota Archives. We are accustomed to thinking that all growth and new facilities are the result of new construction on campus. Occasionally, old spaces are made to serve new purposes. 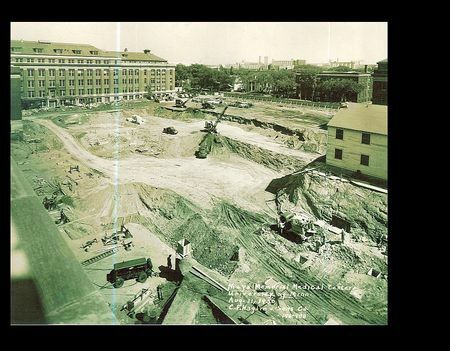 With the construction of the Central Corridor Light Rail on campus, the former Mayo Memorial Building parking garage is in the process of being redesigned to house sensitive laboratory equipment away from the rail line. 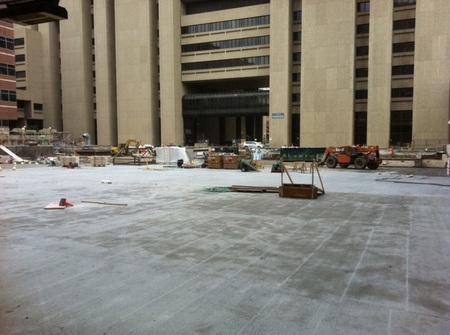 Above the garage, the former Mayo Circle is now in the process of being converted into an all-pedestrian space to also mitigate vibration for the laboratories. 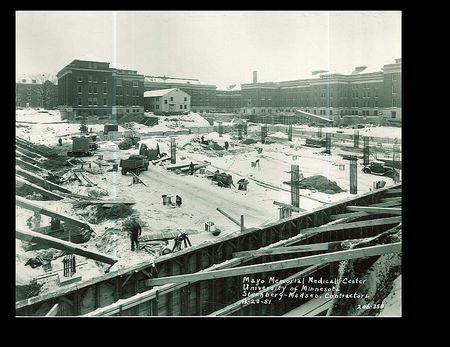 Below are a few photographs of the same space during the original construction in 1950 & 1951.